Laughtondale Gully Road in the north of Hornsby Shire has been closed due to the risk of it collapsing. 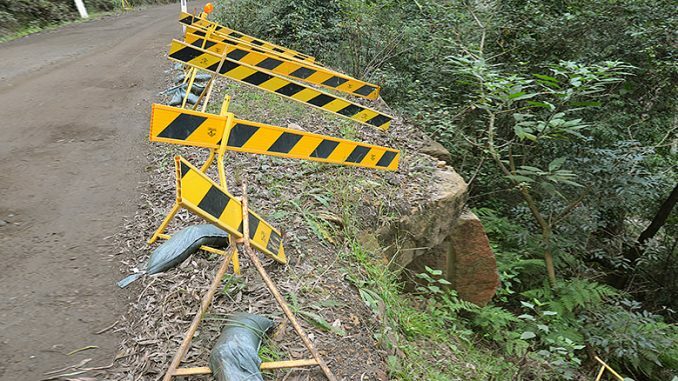 “Council has been watching this road closely for a long time and the chances of it failing have become unacceptable,” Hornsby Shire Mayor Steve Russell said. “There is the threat of falling rocks that exists on a number of roads in the Shire, but far worse is the chance the road could entirely collapse without warning. Independent geotechnical advisers have investigated the road and reported to Council. “They have advised the road is no longer safe and it would be gross negligence for Council to ignore such a warning,” Mayor Russell said. The closed road will affect around 60 households in the Laughtondale area, adding up to 15 minutes to their journey. At this stage it is unclear when the road can be repaired and reopened, or if that is even possible.